Find all the information you need to remain eligible for federal, state and Stevens financial aid and continue your Stevens education worry-free. Here, you can learn about Satisfactory Academic Progress, which sets out the minimum standards you need to meet in order to renew any Stevens scholarships you receive. You’ll also find important information on federal policies that can impact your financial aid, including consequences for drug convictions and the process for receiving a federal aid refund if you withdraw from school. Carefully review your financial aid award information and all subsequent information Stevens sends to you about your financial aid. Financial aid awards are offered with the following conditions. Merit Scholarships for Undergraduate Students are awarded to full-time undergraduate students at the time of admission and are based on the strength of the students’ application for admission. Merit scholarships are awarded for a total of eight (8) full-time, undergraduate semesters (except for students in the Accelerated Pre-Med program, who are limited to six (6) full-time semesters) providing renewal requirements for the scholarships are met. Merit scholarships are not re-evaluated for exceptional academic performance. Renewal requires the student maintain satisfactory academic progress and full-time enrollment for continued merit scholarship funding. Minimum GPA requirements for renewal vary depending on the scholarship award. The Ann P. Neupauer and Presidential Scholarships require a minimum cumulative 3.2 GPA as calculated at the end of the spring semester. All other merit scholarships require a minimum cumulative 2.0 GPA as calculated at the end of the spring semester. Students who fail to meet renewal requirements lose eligibility for the scholarship without possibility of renewal in future terms. The Stevens Grant is a need-based award for undergraduate students who continue to demonstrate financial need after all other resources, including federal student loans, have been considered. As eligibility and award amounts are based on financial need, the amount of the grant may be adjusted from one academic year to the next. Renewal of the grant requires reapplication for financial aid by the priority deadline established, maintenance of satisfactory academic progress, continued financial need and full-time enrollment. Eligible students not enrolled for full-time study lose the award for the semester in which registration drops below full time, but may be reinstated when enrollment meets the full-time requirement. The Stevens Grant may be awarded for a maximum total of eight (8) full-time, undergraduate semesters. It is possible that at some time during the school year, all or part of a scholarship or grant may be designated to acknowledge a donor. If such a designation is made, it will not increase your aid. Stevens Institute of Technology awards institutionally funded grants and scholarships from university funds and reserves the right to substitute funding with private or endowed sources. 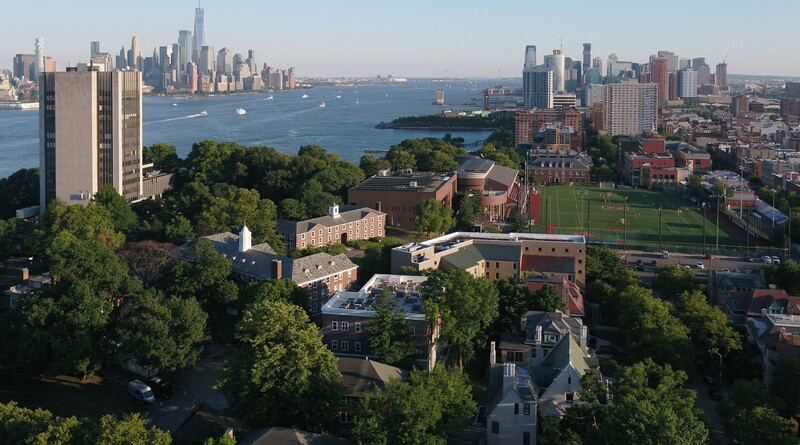 Without the generous support of alumni and friends, financial aid at Stevens would not be possible. A large percentage of the merit scholarships and grant aid awarded is due to the hundreds of names scholarships established to support our students. If you receive such an award you will be given the opportunity to share your story and thank the donors personally for their support. Financial aid awards reflect the student's eligibility based on the information provided by the student and family on the FAFSA and/or the CSS Profile and factors in the student's grade level, program of study, eligibility requirements and funding levels. Federal financial aid awards are contingent on federal funding levels and are subject to change based on Congressional action. If you receive financial assistance from an outside source that is not included in your financial aid awards you must inform the Office of Financial Aid. You must attend the courses in which you enroll. Failure to do so may result in retroactive financial aid reduction and you may be required to repay aid you have received. Please contact the Office of Financial Aid with any questions about your enrollment and eligibility for financial aid. You must notify the Office of Financial Aid immediately if you are convicted of a drug offense and have received federal financial aid money. You will become ineligible for federal aid and you may also be required to pay back any and all aid received after the conviction. Details are available here. A student has the right to decline all or a portion of any federal or state aid offered. To renew your federal, state and Stevens need-based financial aid, you must meet the university’s standards for Satisfactory Academic Progress (SAP). SAP is monitored once per academic year, at the end of the spring semester payment period, once all spring grades have been submitted to the Registrar’s Office. If you fail to meet these standards, you will be considered ineligible for all forms of financial aid until the standards for SAP are met. You may, however, have an opportunity to appeal the denial of financial aid if you have faced special circumstances that prevented you from attaining SAP standards. Stevens merit scholarships may have renewal requirements in addition to those specified in the SAP standards. Please refer to your initial merit scholarship offer for details. Once a merit scholarship is cancelled or reduced, it will not be reinstated in subsequent years, even if you later attain the minimum standards for the merit scholarship renewal. a. Undergraduate students must maintain at least a 2.0 cumulative GPA after 23 earned credits. A 1.7 cumulative GPA is required for students who have not earned 23 credits. Stevens requires at least a 2.0 GPA for graduation. Note that specific federal, state and institutional scholarships and grants may require a different GPA for renewal. b. Graduate students must maintain at least a 3.0 cumulative GPA after 10 earned credits. A 2.7 cumulative GPA must be achieved by 6 earned credits. a. Each year, your progress will be measured by comparing the number of attempted credit hours with the earned credit hours. This includes any course for which you have remained enrolled past the add/drop period. After you have attempted 12 credits, you must earn 67% of the cumulative attempted credits to maintain satisfactory academic progress. b. Graduate students must earn 67% of their cumulative attempted credits to maintain satisfactory academic progress. a.You are eligible to receive funding for up to 150% attempted credit hours toward your degree. Some programs limit funding on a semester basis. Students that attempt and earn only the minimum amount of credit hours required may run out of eligibility for certain federal and state financial aid programs prior to completing their degree. If you withdraw from courses, those credits remain in the total number of attempted hours but are not added to the earned credits. This may have a negative effect on the total number of earned credits you need per year. Your GPA is not affected by these credits. These courses will be counted when determining the number of credits attempted. When you receive a passing grade, the grade will be added to the number of credits earned. These courses are counted each time you take the course and will be included in the total number of attempted credit hours. When you complete a course, the credits are added to the total number of earned credits hours. Transfer credits accepted by Stevens will be added to the attempted/earned credit hours in order to determine the number of credits you should attempt and earn. The following grades may have a serious negative impact on your academic record: F (Failing), and M (Missing, no grade submitted). Expunged grades are included in the financial aid SAP calculation. Federal regulations do not allow for academic amnesty, therefore expunged grades cannot be excluded from evaluation. This means that the GPA that appears on your academic transcript will be different than the GPA used in the financial aid SAP calculation. Appeal: A process by which a student who is not meeting SAP standards petitions the university for reconsideration of his/her eligibility for financial aid funds. Financial aid probation: A status the university assigns to a student who is failing to make SAP and who successfully appeals. If you are granted a financial aid probation semester, you are expected to make SAP. Eligibility for aid may be reinstated for one payment period. If you do not make SAP after the financial aid probation semester, you are required to submit an academic plan to the Office of Financial Aid. You may obtain assistance on creating an academic plan from your academic advisor or dean. Students identified as not making SAP will receive correspondence at their campus e-mail address. You have the right to appeal the decision by submitting a SAP Appeal Form. Generally, the SAP Appeals Committee will consider appeals that involve circumstances beyond your control that have had an impact on your academic performance. The appeal must include a narrative of the extenuating circumstances (e.g., you or an immediate family member suffered a serious illness or injury, death of a close relative, or separation or divorce) and a reasonable explanation of the expectation that the event/circumstances will not re-occur. You are required to attach pertinent documentation supporting your appeal, including your appeal letter and at least one piece of objective documentation. Furthermore, you may be required to submit a Financial Aid Academic Plan to demonstrate that you will achieve SAP. Financial Aid Academic Plans are reviewed after every semester. Students who submit a Financial Aid Academic Plan are required to meet what is written in their plan to maintain eligibility. You may submit your appeals by the deadline to the Office of Financial Aid. A committee will review the appeal and a response will be provided within 15 business days. All committee decisions are final. You will be notified of the committee’s decision in writing via your Stevens email account. The committee reserves the right to request additional information, including an academic plan, for consideration in the review. Students who successfully appeal are approved for one payment period and are considered to be on probation. To gain eligibility in the subsequent semester, you must meet the standards of SAP or meet the requirements of your Financial Aid Academic Plan, as described at the time of the appeal submission. It is highly recommended that you meet with your academic advisor or dean before creating your Financial Aid Academic Plan to ensure it is attainable. If you fail to meet SAP standards or the requirements set forth in your SAP academic plan, you will be placed on SAP suspension. You are ineligible for financial aid with this status and you will remain ineligible for financial aid until you meet the minimum SAP standards again. If a student does not meet the conditions of their SAP Academic Plan the student has the right to appeal to change their SAP Academic Plan. The appeal to the submitted SAP Academic Plan must explain what has happened to make the change necessary, and how the student plans to achieve SAP. Federal regulations require specific refund calculations for students receiving Title IV financial aid who completely withdraw from Stevens Institute of Technology. If you completely withdraw from Stevens, then you may be eligible for a refund of any federal financial aid you earned which was not disbursed. If this is the case, the Office of Financial Aid will notify you. The amount of federal aid you earn is prorated and based on the date you withdraw. Once you complete more than 60% of a payment period, you have earned all of the federal aid you are scheduled to receive. If you did not receive all of the funds earned prior to your withdrawal date, you may be eligible for a post-withdrawal disbursement. You will have 14 days from receipt of notification to accept or decline the post-withdrawal disbursement. Title IV recipients who officially withdraw from the University will be subject to the Return of the Title IV calculation in determining earned aid. Students who receive Title IV funding and stop attending classes without official notification to the University, whereby a last date of attendance cannot be determined, will be subject to a Return of Title IV calculation based on attendance through the midpoint of the payment period or the last date of an academically related activity in which the student participated.